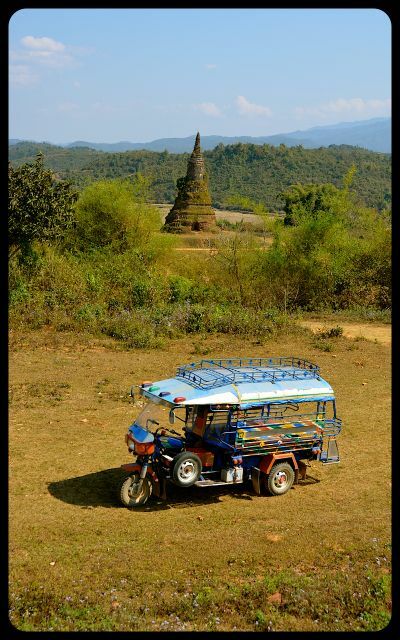 A tuktuk sits on a hill overlooking grass-covered That Foun (also called That Chomsi). The brick stupa (Buddhist shrine) was built in 1576 in an ancient capital city, Xieng Khuang, in present-day Muang Khoun (northeastern Laos). In the 19th century, Chinese bandits tunnelled into the stupa’s interior, creating the entryway that is visible today. They spirited away the priceless Buddhist relics from within.